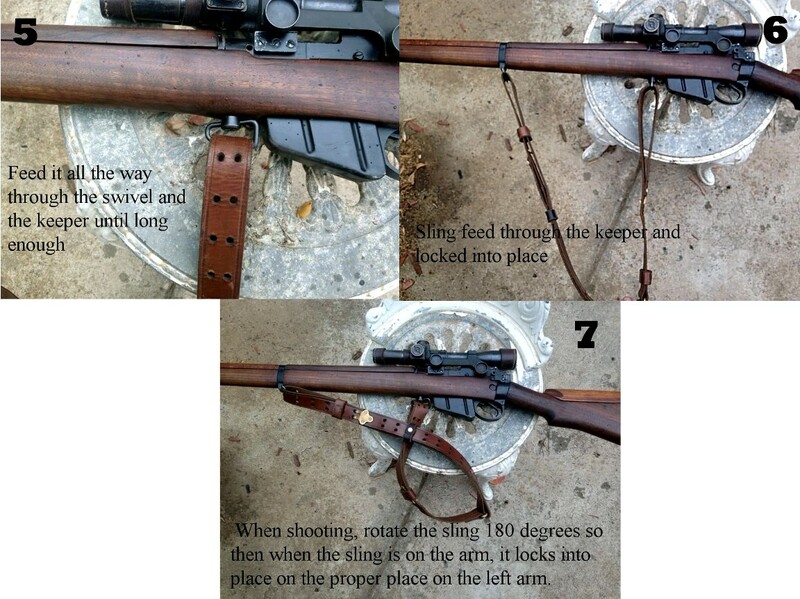 How to fit an M1917 (2 loop leather) sling to a Lee Enfield fitted with the "King Screw Swivel". I owe these excellent images to "Nathaniel Brooke" a member of another forum who took them in response to a question of mine. I've seen many threads on rigging for a "standard 2 swivel" rig, but this was new to me & it's baffled me for some time. Actually no, I never had! I've used it with the web sling (both one at the "cavalry" position & 2 for the double-loop style). I've also used a "Ching Sling" which depends on the 3rd swivel to work. I've used the M1907 with the "regular" swivels also but I never figured out the correct method with the "King Screw Swivel"! I learned something new yesterday! 'Murican Vernacular, hence the quotes, I'se acclimatizing, I is.